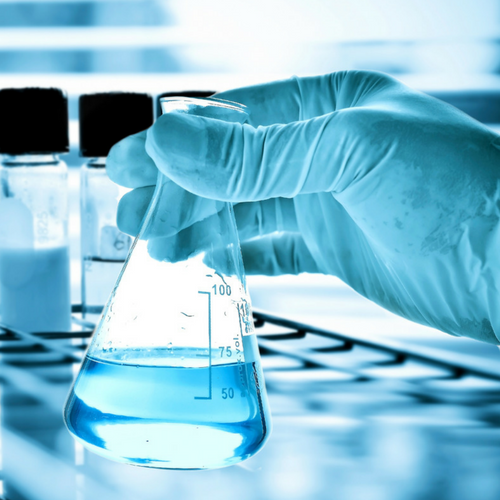 Is Legionella testing enough for Legionella control? Residential properties such as blocks of flats that share water supplies run multiple risks of: cross contamination from vacant flats where stagnation can encourage bacterial growth, neglect where stored water is located away from view, poor distribution patterns due to inadequate design or maintenance, low levels of training and understanding. Legionella testing alone is no guarantee of a safe water system – our guide to the 7 “Rs” will help you understand how to comply. Responsibilities – identify the duty holder and Appointed Competent Person. 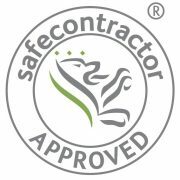 Risk Assessment – including recommendations for works and a prevention programme. Written Scheme – a vital document that describes how Legionella is controlled at the building under your control – not just a general policy document and useful as a “tick sheet” to make sure everything is allocated to a responsible staff member or contractor. Routine monitoring and flushing – this forms part of the scheme of control. Refresher Training – for everyone involved. Records – 5 years is required for some documents and advised for all. Registered Contractors – must be LCA members. We are aware of the sensitivity issues involved in Legionella control in residential properties, but find most tenants to be cooperative and pleased that their welfare is being considered. That being said, we always communicate with key personnel to arrange a convenient time for our site visit. Vacant flats in particular can contribute to system stagnation and create a breeding ground for Legionella and other bacteria beyond the reach of management. Residents will often ask our staff what they can do to reduce the risk of Legionella proliferation and as part of our responsible management programme we are always happy to offer guidance. 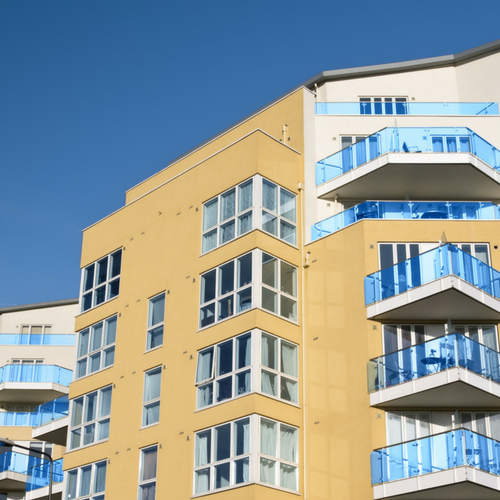 Residential accommodation can present special problems to building managers, as it is not uncommon for only part of the building to be under their control. This makes it even more important to ensure that the parts of the communal water tank, or communal water system they are responsible for maintaining are kept in prime condition, so that if the worst should happen and there is a Legionella outbreak, they are able to prove that they are not at fault. Can I drink from water supplied from a water tank? 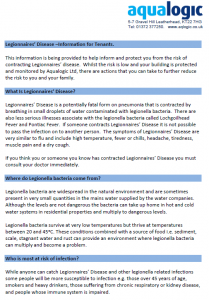 HSE’s guide to Legionella control, HSG274, makes it clear that cold water storage tanks should be cleaned when an inspection indicates, depending on biofilm, rust, scale and sediment levels. This means that draining and removal of debris might be carried out every 2 to 3 years. If the tank is at roof level, drinking water will usually be supplied separately by the rising main direct to the kitchen tap. Taken with the WRAS guidelines above 6 monthly microbiological sampling and annual cleaning and disinfection are generally considered prudent.